Abdallah is a PhD candidate in Electrical and Computer Engineering. He got his B.Sc. in Computer Engineering from the Arab Academy of Science and Technology (AAST) in Alexandria, Egypt. He received his M.Sc. in Computer Engineering from Virginia Tech remotely in 2007. Abdallah worked for the AAST as an assistant lecturer from 2005 to 2009, when he moved to Blacksburg to get his PhD. His research focuses on optimizing video streaming over wireless networks. 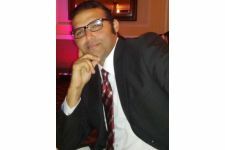 Abdallah served as a peer reviewer for several IEEE publications. He also experienced working in the telecommunication industry through interning at Intel and Broadcom. 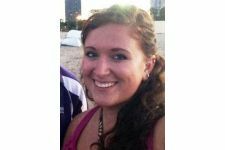 Chelsea Corkins is a doctoral student in the Biological Systems Engineering department, with masters and undergraduate degrees from Kansas State University in BSE. 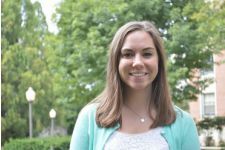 During her time at Virginia Tech, Chelsea has been involved in research regarding aerosolization of bacteria, biofilm growth in water treatment facilities, and modeling of fluid mechanics. Her PhD research is focused on the influence roots and microbial communities play on streambank erosion. In her free-time, Chelsea absorbs all available knowledge on sports and attempts to keep her herb garden alive. She is co-advised by Dr. Tess Thompson (BSE) and Dr. Mark Stremler (Engineering Science and Mechanics). Megan Cox obtained a BS in Chemical Engineering from Virginia Tech in 2012. She is currently pursuing a PhD in Biomedical Engineering as a student in Dr. Scott Verbridge’s lab. Her research is focused on developing a microfluidic platform to mimic the brain tumor microenvironment. This platform will enable the analysis of tumor progression and help to identify potential targets for anti-cancer therapies. Breeyn received her B.S. from University of Wisconsin, Madison in Biological Systems Engineering. In lieu of a ‘desk job’ she spent a year working on organic farms across the U.S. and has since continued her education as a M.S. student in Civil and Environmental Engineering. 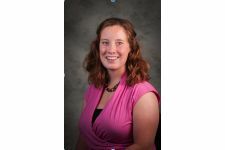 Her research focuses on geophysical inverse modeling of preferential flow in Appalachian surface coal mines and related impacts to stream water quality. Although Breeyn is graduating this May, she has deeply enjoyed doing mountainous field work at Tech as well as experiencing IDR events. Alex earned her BS in Chemical Engineering from the University of Kansas in 2009. 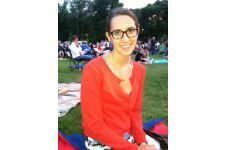 Alex is now pursuing a Ph.D. in Biomedical Engineering through the MultiSTEPS Interdisciplinary Graduate Education Program. Her research focus involves engineering transport and fluid dynamics and their biological impact on ovarian cancer progression. 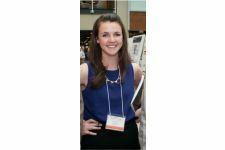 In addition to her research interests, Alex is an avid college basketball fan and enjoys cooking and traveling. Cynthia is currently a simultaneous degree student seeking a Doctor of Philosophy in the Department of Human Nutrition, Foods, and Exercise (HNFE) and a Masters of Public Health Degree in the Department of Population Health Sciences. In addition, she is a Diversity Scholar at Virginia Tech. Her diversity project focuses on enhancing the climate of inclusion and diversity within the classroom. Cynthia’s goals include working within population health sciences and behavioral change among disadvantaged and marginalize populations, where she hopes to address health disparities, reducing late-stage breast cancer diagnosis, and reducing breast cancer risks. Shabnam Kavousi is a Ph.D. candidate in the Architecture and Design Research Program in the College of Architecture and Urban Studies. 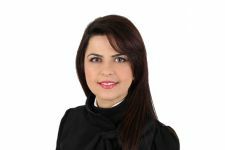 Her research interest is in student cognitive learning processes in the domain of architectural design problem solving. 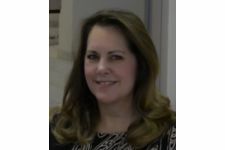 During the time of her Ph.D., she received a Master of Arts in Education (MAED in Curriculum and Instruction) focused on education psycology in 2014 . Shabnam also holds a M.S. of Landscape Architecture from the University of Putra Malaysia since 2010. In addition, she has the “Future Professoriate Graduate” and “Cognition and Education” Certificates offered by the Graduate School at Virginia Tech. Joseph Najem is a doctoral student in the mechanical engineering department. 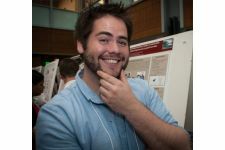 Inspired by the way nature uses stimuli-responsive biomolecules to enable autonomic behavior in cellular systems, Joseph works with Dr. Donald Leo to develop smart material systems that mimic the structure and function of the cell membrane. Joseph obtained a MS in mechanical engineering from Virginia Tech. His thesis focused on the design of a biomimetic jellyfish robot that uses artificial muscles for propulsion. 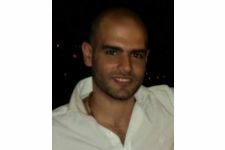 He also earned a BE in mechanical engineering from the Lebanese American University. His research interests include: bio-inspired materials and systems design, smart materials, and biotechnology. Dan received his BS in Biomedical Engineering from the University of Arizona in 2013. He is currently a PhD student in Biomedical Engineering in the Bioelectromechanical Systems Laboratory, focusing on electrical focal ablation techniques and cellular electrophysiology. At Virginia Tech Karlton Wirsing has completed Master’s degrees in Computer Science and Electrical Engineering as well as the graduate certificate in Information Assurance. 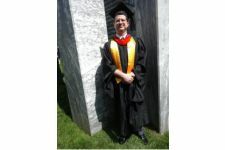 He is a candidate for the Doctor of Philosophy degree in Electrical Engineering and is a member of the Association for Computing Machinery, the Institute of Electrical and Electronics Engineers, and the Society of Industrial and Applied Mathematics. He has a variety of interests across several fields and is currently doing research in signal processing of self-similar signals originating from outer space. He also does a lot of community service, with Red Cross and INOVA with blood and platelet donations, Virginia State Mathcounts, and other organizations. He holds an Extra class Amateur radio license.